Colombia’s handling of the kidnapping and murder of a team of journalists from Ecuador has damaged ties with its neighbor to the south. 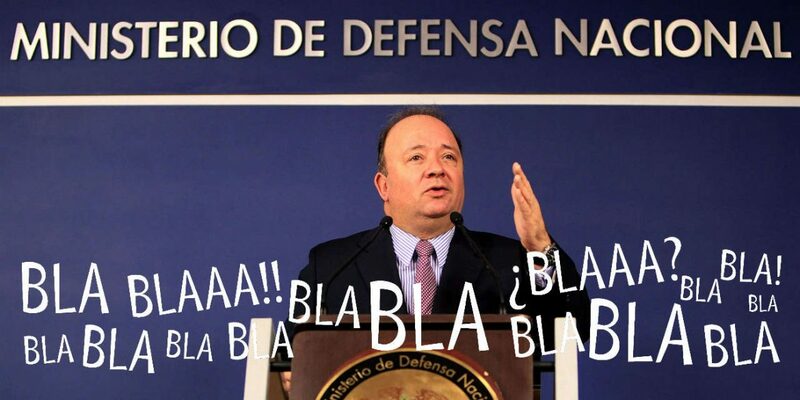 Especially Defense Minister Luis Carlos Villegas can count on severe criticism for releasing information that was either false of unverified. Ecuador’s Foreign Minister Jose Valencia wrote an angry letter to his Colombian counterpart, Maria Angela Holguin, bashing Villegas’ claim that the bodies of the killed journalists were found while forensic investigators were still investigating. Within hours after the minister made the premature claim on Twitter, the Medical Examiner’s Office said it was still waiting for DNA results. which would determine the identity of the bodies found in a mass grave in the southwest of the country. The victims’ families were particularly grieved that the information about what could be the bodies of their lost loved ones ended up on Twitter “when they were neither informed beforehand nor asked to give consent’ about the publication of information. Villegas’ peculiar interpretation of truth caused tensions with the neighboring government before. The minister initially lied about the fact that the two journalists and their driver were held hostage in Colombia after their initial kidnapping in the north of Ecuador in March. Villegas’ lie triggered the Ecuadorean government to take responsibility in trying to rescue the Ecuadoreans who were kidnapped by a Colombian group of rogue guerrillas. Villegas’ later falsely claimed that the workers of El Comercio, a newspaper from the Ecuadorean capital Quito, were still alive. The Ecuadorean government on multiple occasions expressed its discontent about Colombia’s cooperation in efforts to recover Javier Ortega, Efrain Segarra and Paul Rivas. Following the tragic kidnapping and killing of its journalists, Ecuador withdrew its support for peace talks between the Colombian government and the ELN, the country’s last-standing guerrilla group.